Transport your style to an era of unmatched elegance with this straight fit kurta and palazzo set from Varanga. 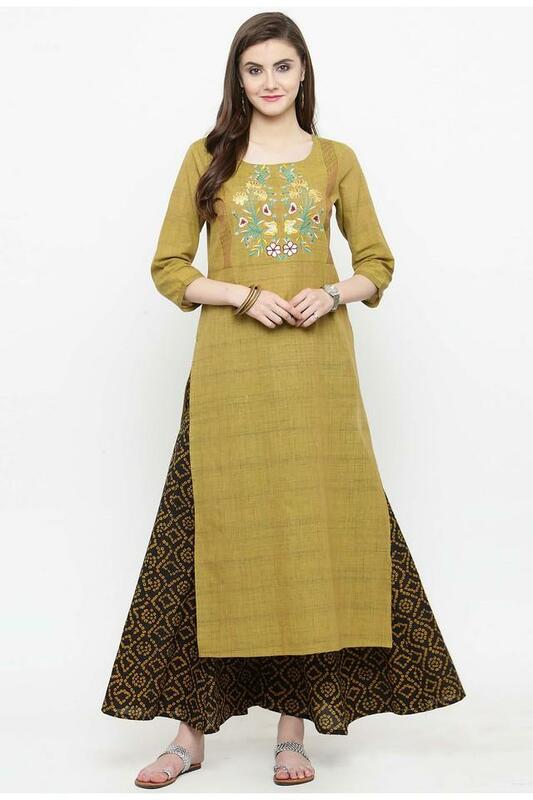 It features square neck, embroidered pattern and three quarter sleeves that looks unique and attractive. Tailored in cotton blend fabric, this set is light in weight and will keep you at ease all day long.